GoVirtual's Infrastructure Management services enable leading companies worldwide to optimize, secure, manage and support their mission-critical infrastructure. GoVirtual partners with clients to align IT programs and goals with enterprise strategy to deliver solutions that drive business process as well as improve the availability, reliability and performance of data center, network and security infrastructure. Leveraging its multi-shore capabilities, GoVirtual combines expert consulting, integration, support and managed services with world-class customer service to help IT organizations reduce costs, increase efficiencies and manage risk in the data center. GoVirtual's spectrum of innovative Infrastructure Management solutions are delivered through our Centers of Excellence (CoE), Global Security Labs, Global Solution and Innovation programs, utilizing our proven Global Delivery Model and Framework. GoVirtual's comprehensive data center portfolio covers the full spectrum of ITIL services including data center modernization, data center operations, and managed systems and applications. Data Center Services are designed to maximize the availability, reliability and performance of organizations' complex, multi-vendor server, storage and network infrastructure, while reducing support costs, and providing the highest standard of service. 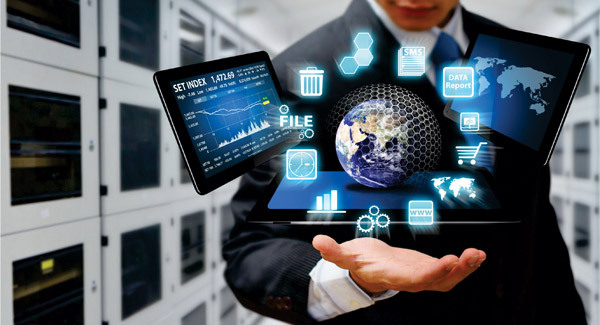 GoVirtual's End User Computing portfolio features industry leading technologies that enable enterprises to transform and align their desktop infrastructure to the latest mobility and BYOD models, allowing clients to reduce implementation and management complexity while lowering their total cost of operation. Services include desktop infrastructure consolidation, standardization and rationalization through desktop and application virtualization. GoVirtual's Remote Infrastructure Management Solutions (RIMS) enable enterprises to cost effectively minimize their IT infrastructure downtime by leveraging our 24x7 command centers. GoVirtual's Security and Compliance services help organizations protect critical corporate information by guarding against data leakage, proactively monitoring, preempting and mitigating threats, and ensuring regulatory compliance within the context of an overall security strategy. GoVirtual helps companies assess, design and implement proven security practices to help clients interpret and translate industry compliance standards into practical solutions.